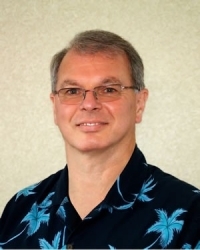 Saybrook University and the Saybrook Alumni Association are pleased to announce that Saybrook Psychology Alumnus Dr. Robert McCarthy was recently appointed to serve on the American Association of Integrative Medicine Accreditation Commission. The American Association of Integrative Medicine Accreditation Commission is an interdsiciplinary Board of integrative healthcare professionals that accredit other educational and clinical programs throughout the country that provide either formal trarining programs or direct clinical services to patients in integrative medicine of healthcare. Robert also presently serves on the National Executive Advisory Boards of the American Psychotherapy Association, American Association of Integrative Medicine, and National Board of Certified Clinical Hypnotherapists. He graduated from Saybrook in 2003 with a Doctor of Philosophy Degree in Psychology (Clinical Inquiry).